Hello all my dear friends, Hope you people had great weekend and what have you all grabbed in the black Friday sale?? 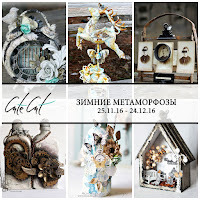 Okay, i will share a lovely mini mixed media canvas with you here today, its no more a secret that i am mixed media lover and i mostly try to use some scratch on all most all my projects. so here, this time i have used a Colgate tooth paste tube on my canvas :)...(hahaha) smart ah??? 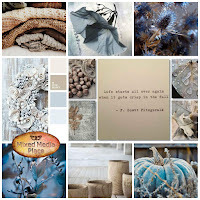 Very happy to be part of rainbowcraftykari blog as guest designer today to give my inspirational post...and for details on how i made it please do not forget to click the link. here comes the Special hero of the project, Guess what?? ?...used and almost squeezed colgate tooth paste tube…(hahaha),and some flowers and mdf scrolls laid down on the top right corner..
my friend to hold all the embellishments and resin frame, wings etc on the project is Prima marketing heavy body gel. Then a coat of Heavy black gesso from by Prima marketing. Now comes the magic of sprays with my all time favourite lindy’s stamp gang sprays Bachelors button blue and rizzo’s rowdy red,Sandra dee sepia.. I really loved it so much...hope you will too, if so please leave some love in comments below...i love to read them, you can also follow me on instagram , pinterest and my Facebook page roshiniscrafts. 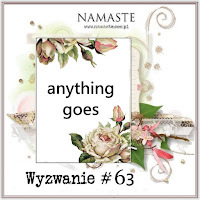 Taking part at following challenges...do check blogs to find instresting challenges and creative inspirations from all around the world..
Oh I LOVE the toothpaste tube! What a fabulous idea! Thanks for joining us at More Than Words. Wow! It's Awesome! Great & unique idea to use toothpaste tube! Love the details & color shades! Beautiful canvas very detailed! Stunning rust effect. Thanks for joining at Lindy's stamp gang as well as More than words! Awesome canvas. Thanks for playing along with us at More Than Words. WOW! And to think it all started with a toothpaste tube! This is absolutely gorgeous and so inspiring! Thank you for playing along with us at More Than Words! Amazing again lovely piece thanks for Lindy's and Scraoki Challenge!!!! Stunning project!!! Love it so much!! 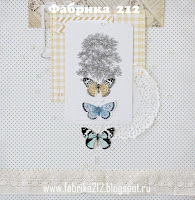 Thank you for playing with us at Scrapki Wyzwaniowo Challenge!! 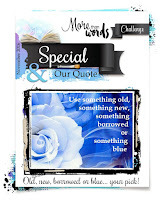 Amazing creation as always wow wow wow thanks for playing at MMP challenge !!! Thank you so much for joining us at MMP..your amazing background looks so cool !! Tiny ,sweet art !! Have a nice crafty day !! 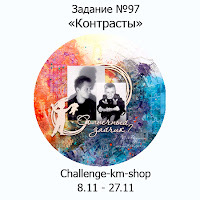 Thank you for playing with Challenge-KM-shop!